Skarstedt was founded in 1994 by Per Skarstedt to mount historical exhibitions by Contemporary European and American artists. Skarstedt’s 79th Street location opened in New York in 2008, establishing the gallery's program, focused on concepts such as representation, authorship, identity, and sexual politics across a wide-range of media. Skarstedt's unique relationship with artists allows it to present museum-quality exhibitions both on the primary and secondary markets, creating a dialogue between the generations. Located at 8 Bennet Street, Skarstedt’s London gallery is situated in the historic district of St James’s, on the corner of Arlington Street and Bennet Street, both named after Henry Bennet, Earl of Arlington. Known as ‘ministerial street’ in the 17th and 18th centuries, the street was previously home to Prime Minister, Sir Robert Walpole and his son Horace Walpole, an esteemed collector and connoisseur. 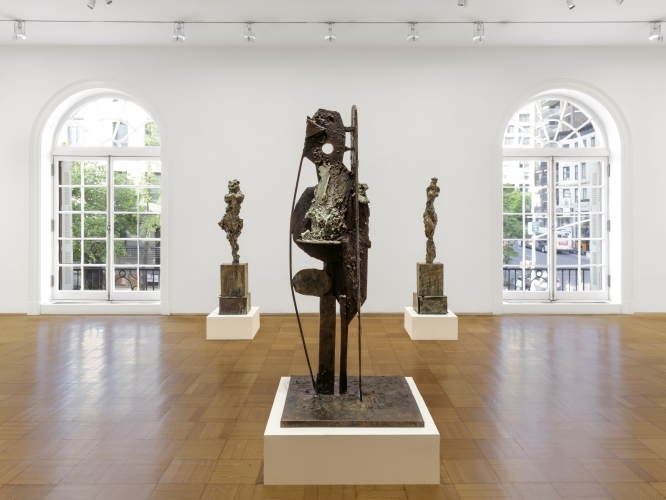 Measuring 5,000 square feet, with the main exhibition space at ground floor level, the three interconnected galleries enabling Skarstedt to continue its program, of historically-researched and museum-quality exhibitions. Skarstedt’s expansion to 64th Street in New York enables even more ambitious programming in the historic 25,000 square foot building designed by renowned architect Horace Trumbauer. 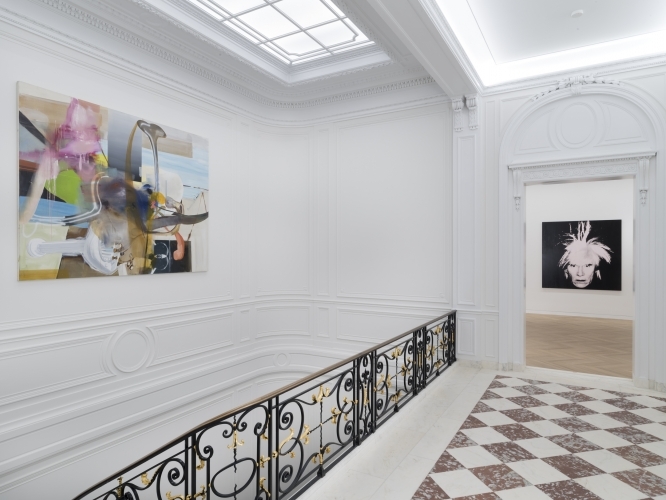 Skarstedt continues the townhouse’s legacy, unifying the elegance of 18th-century French design with displays of modern and contemporary art throughout the multiple galleries and viewing rooms. Celebrating the old and the new, Skarstedt looks forward to deepening its commitment to the iconic artists that formed its very identity, while simultaneously pushing into the future and expanding its vision in this storied Manhattan building. 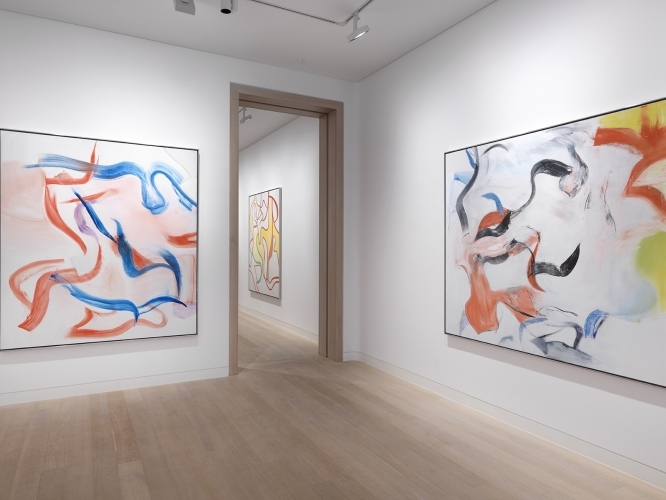 The gallery works with the following artists and artists’ estates: John Baldessari, Georg Baselitz, Alighiero Boetti, John Chamberlain, George Condo, Willem de Kooning, Carroll Dunham, Eric Fischl, Peter Fischli & David Weiss, Lucio Fontana, Günther Förg, Keith Haring, Jenny Holzer, KAWS, Mike Kelley, Yves Klein, Barbara Kruger, Robert Mapplethorpe, Juan Muñoz, Albert Oehlen, Sigmar Polke, Richard Prince, David Salle, Thomas Schütte, Cindy Sherman, Rosemarie Trockel, Günther Uecker, Andy Warhol, Rebecca Warren, Franz West, Sue Williams, Christopher Wool, and The Estate Martin Kippenberger in collaboration with Galerie Gisela Capitain Cologne. Skarstedt Gallery, Ltd. is committed to making this website available to as many people as possible and is engaged in continued efforts to ensure that this website is accessible to those with special needs, including those with visual, hearing, cognitive and motor impairments. Our efforts in that regard are ongoing. Many internet users can find websites difficult to use. We recognize that this is an important issue, and we are working to ensure that this website is accessible to all persons who wish to use it. Our efforts to improve this website in this regard are in process, so if you come across a page or feature you find inaccessible or difficult to use, please send your feedback to: jamie@skarstedt.com.